AD Piston Ring manufactures a step cut piston ring, which is a common, cost effective joint configuration . They are easy to install and most versatile. Step cut piston rings are used where two rings per grove are not practical. Step cut piston rings are used to stop a direct flow path between the cylinder and the piston. It is a very good bi-directional seal for many sealing purposes. They are commonly used in combustion engines, compressor applications and in die cast applications. Also, they are one-piece, turned face, quick seating for pumps, hydraulic and pneumatic cylinders as well. 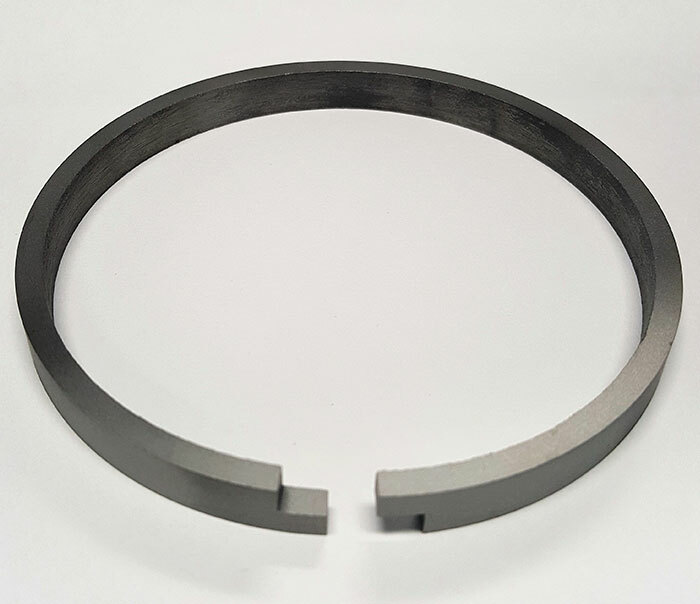 Step cut piston rings are used in conjunction with other rings or as stand-alone applications. Step cut piston rings can be made of cast iron , stainless steel and bronze aluminum materials. Step cut piston rings are available in 2 inches to 30 inches.